The NFL fraternity is one the most prestigious organizations in America. It could be argued as more exclusive than Harvard, even more exclusive than Yale’s secret society. Something about the name, better known by three letters to its biggest advocates. Its something about the tradition. Something about the names of former pledges such as Walter, Montana, Rice, Sanders, Taylor. Even now as the torch has been handed to the likes of Brady, Manning, Peterson, Revis. Though the fraternity ages, every year new pledges are allowed in, given the opportunity to put their stamp on the already tremendous legacy established by the previously mentioned and others. Unlike the fraternities scene on a nearby campus, the chances of a pledge being accepted into the NFL is not based on how little or how much money one has. Neither is it based off of a family legacy. This exclusive organization rarely allows in those who are not capable of taking on the enormous responsibility that comes along with wearing infamous stitching on ones jersey. Now there are those who make their way into the fraternity who were able to hide their flaws well during the interview process. They were able convince many the hype surrounding them was real. Names that come to mind such as Russell, Leaf, Bosworth, all the quarterbacks drafted before Tom Brady. Their true value to the organization was quickly seen, which resulted in the termination of the relationship. Others were questioned about whether they belonged in the exclusive group, but have proven themselves and have become intricate members to the society. Thursday on primetime television, nearly 250 of the applicants will be welcomed in. While the other 3500 draft eligible players either hang up their cleats or wait for a free agent contract. The NFL’s acceptance rate is about 7%. To gain a comparison, Columbia University has an acceptance rate of 7.4%, yeah pretty exclusive. Names such as Geno Smith, Teo, Millner, Lacy will be revealed along with others. Some will have high over bearing expectations, while others will simply be over looked. Many people look at the game of football as just that, a game. However, the NFL has given the chance of a lifetime for young men to play the game they love and also take care of those who have supported them throughout their long, hard fought journey. New faces will line the aged, old halls of the glorious frat house in Canton, Ohio but the game remains live and well. 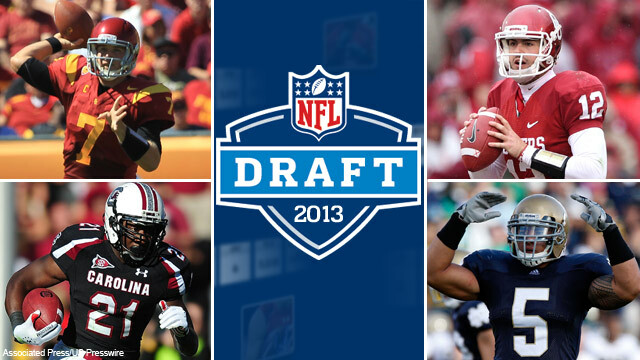 This entry was posted in Football, Football, Home, Midwest, National and tagged Draft, NFL. Andy Reid is taking the Chiefs by storm. 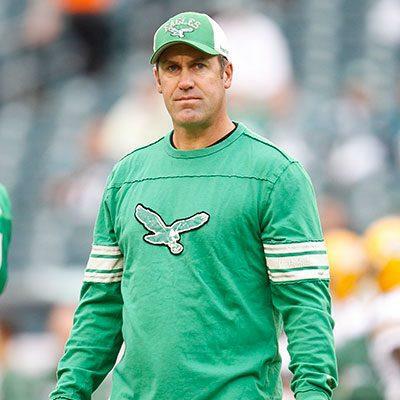 The overhaul of personnel being brought in from his previous team, the Philadelphia Eagles, was capped yesterday by Doug Pederson being named as the new offensive coordinator. Pederson has an impressive track record, playing twelve years in the NFL as a quarterback for the Miami Dolphins, Cleveland Browns, Green Bay Packers, and the Philadelphia Eagles. In Philadelphia he played under none other than Andy Reid, who coached him to his best season, throwing for 1,276 yards and seven touchdowns. After retiring, Pederson spent two seasons as the Eagles’ offensive quality control coach, and was named quarterbacks coach in 2011. What Chiefs fans should really be excited about though, is the success that has followed Pederson. As offensive coordinator, Pederson hopes to truly display his offensive abilities in Kansas City. Over the last two seasons, the Chiefs’ offensive ranking has been 24th and 27th. In 2010, he played a role in the Eagles’ record-setting year. They scored 439 points, which was third best in the NFL, and gained 6,230 net yards, which was second in the NFL. Both of these were also franchise records. Compared to the Chiefs’ glaring 2-14 record, and league-worst 211 points this season, Pederson seems like the perfect fit to jumpstart the offense. 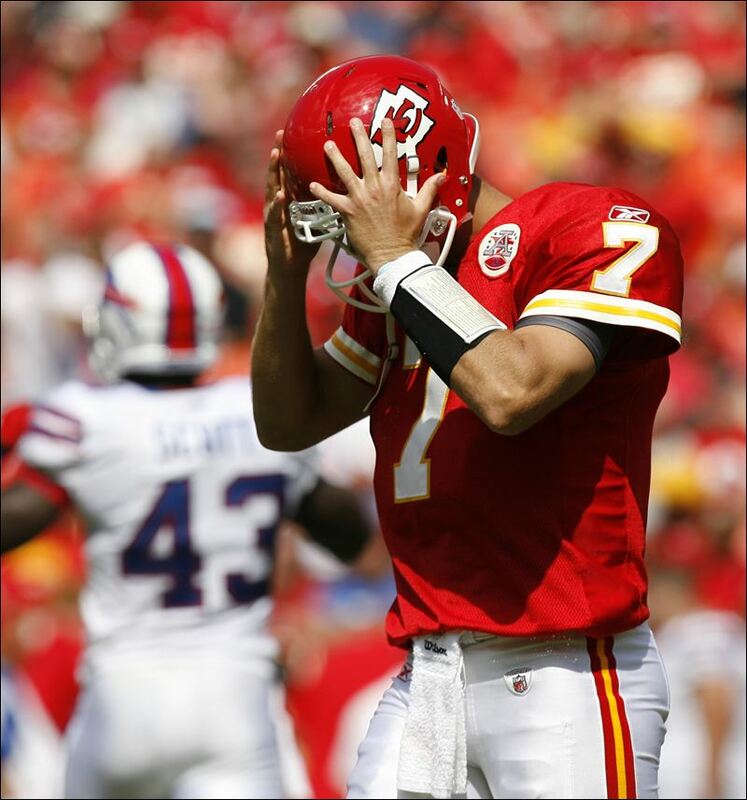 Chiefs fans may still have cause for doubt, with the quarterback woes that have befallen them since the retiring of Hall of Fame player Len Dawson back in 1975. Since then, only one Chiefs-drafted franchise quarterback, Todd Blackledge, has won a game. Although the quarterback situation seems non fixable in Kansas City, Pederson has shown that he can come through with a winner. In 2011, with the questionable return of Michael Vick, Pederson showed that he can turn an uncertain offensive factor into a work of genius. That year, Vick threw for 3,303 yards, ran for over 500, and completed nearly half of his passes. While the clouds are hanging low over Kansas City and the Chiefs, Pederson brings a ray of hope, one that Chiefs fans are in desperate need of. This entry was posted in Football, Football, Home, Midwest, National and tagged Andy Reid, Cheifs, Doug Pederson, NFL. With all the media attention that the Jets have received the past week, they have shown why they will struggle this year. First, Tebow and Sanchez struggled immensely throwing the ball so far during training camp. Next, Antonio Cromartie claimed he could be the number 2 wide receiver for the Jets. While I do think he could play wide receiver, he could not be the second best receiver. With comments flying around the locker room, the Jets have shown exactly why last season exploded in their face when Santonio Holmes quit on his team. Holmes is currently hurt with a bruised rib. Although Rex Ryan looks good losing tons of weight, he will add fuel to this seasons troubles with Tebow and Sanchez. Rex will say many things that add to the conversation of when will Tebow start. The Jets will start with a win at home against the Buffalo Bills. The Jets will rely on the running game and the strong defense. Next up are at the Steelers. The Jets will not be able to power run against the Steelers. The Steelers will win the game. The Jets will start 3-5 and will head into their bye week trailing the Patriots. 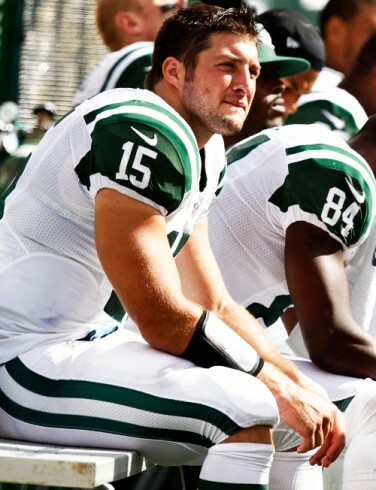 If the Jets lose to the Seahawks in week 10, Tebow should be allowed to start week 11 at the Rams. Not because he deserves it but because I will be at the game. Up until week 10 I think the Jets will not use Tebow much in some games and use him as much as a third down back in others. The Jets offensive coordinator Tony Sparano will be huge for the Jets. 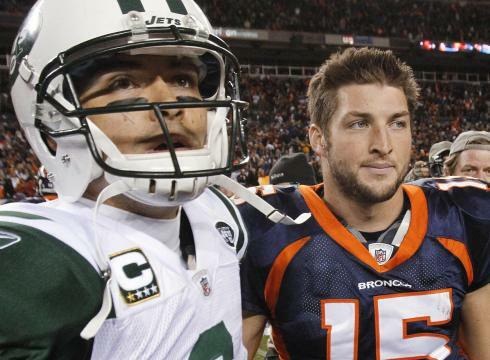 He will keep a great balance between Tebow and Sanchez. Sparano, the creator of the Wildcat with the Dolphins will not be able to run the exact same type of Wildcat because Tebow is not as fast as Rickey Williams and Ronnie Brown. Tebow will be forced to pick his holes between the tackles. In the end I do not see Tebow ever starting a game and the Jets will finish 7-9. The controversy between Tebow and Sanchez will carry on the whole season while the media should be talking about how well the defense will play. This entry was posted in Football, Football, Home, Midwest, National and tagged Mark Sanchez, New York Jets, NFL, Rex Ryan, Tim Tebow. 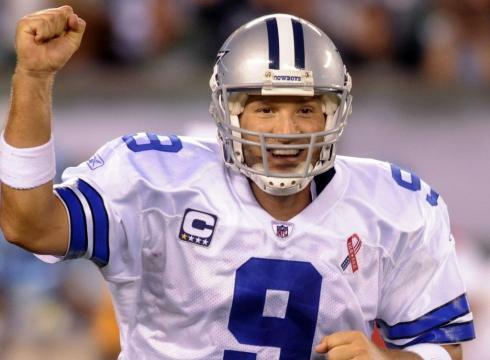 Dallas Cowboys – The Cowboys are a very interesting team going into the 2012 season. The biggest problem for the Cowboys last season was their secondary, giving up 244 yards a game. However, this off-season they signed cornerback Brandon Carr to a huge contract and traded up in the draft to get Morris Claiborne, the top cornerback in the draft. If their secondary is fixed, they could be one of the best teams in the NFL. They have a very talented offense with Miles Austin and Dez Bryant at wide receiver and Felix Jones and Demarco Murray at running back. My only concern on the offense is quarterback Tony Romo. He is a very talented quarterback who can make every NFL throw. However, I question Tony’s decision-making ability because at the end of games he makes errant throws that cost them the game. Washington Redskins – The Redskins are by far the worst team in the division. They have a rookie quarterback in Robert Griffin III who will be the starting quarterback day 1. However, I am skeptical in Robert Griffin’s ability to function in a pro style system. Besides the quarterback position the Redskins have a average amount of talent on offense. This offseason they signed wide receiver Pierre Garcon to a long-term deal, which should help RG3 develop as a quarterback. The Redskins’ defense should be able to hold its own this season. Their whole season, and its success, will be based off whether Robert Griffin III is effective. New York Giants – The Giants are the defending super bowl championships but don’t expect them to repeat this year. The Giants lost many key players on their offense during the offseason in Mario Manningham and Brandon Jacobs. The loss of Manningham will hurt the offense the most since it will force Victor Cruz out of his slot position. However, if second year player, Jerrel Jernigan can step up at wide receiver this will allow Cruz to stay at slot. Again, the Giants should have a great defense led by their pass rush. However, their defense worries me because as goes their pass rush, so goes their defense. Overall, the Giants have a very talented roster, but will not make a super bowl push because of consistency issues. Philidelphia Eagles – On talent alone, the Eagles are the best team in the NFL. The Eagles have Pro Bowl caliber talent at every level of their defense. However, last season they didn’t play consistent enough and did not force enough turnovers to be labeled a great defense. Furthermore, on offense, they are one of the most explosive teams in the NFL. The Eagles offense did not live up to expectation this past year, mostly because of injuries. 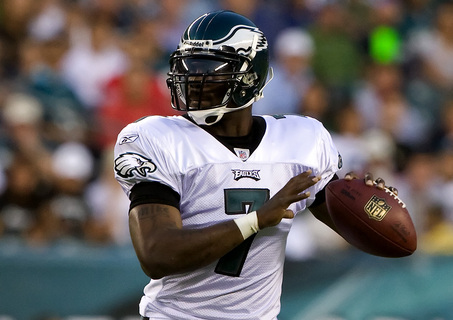 Michael Vick, the Eagles starting quarterback, missed significant time due to injuries. If Michael Vick is not playing quarterback, their offense is merely average. The Eagles are the most talented team in the division, but need to play with better consistency to make a Super Bowl run. This entry was posted in Football, Home, National, Uncategorized and tagged Cowboys, Eagles, Michael Vick, NFL, Robert Griffin III. Houston Texans– The Texans are one of the NFL’s best teams. They have a dominant run game with Arian Foster and Ben Tate. To go along with a dominant run game, they a good passing game. 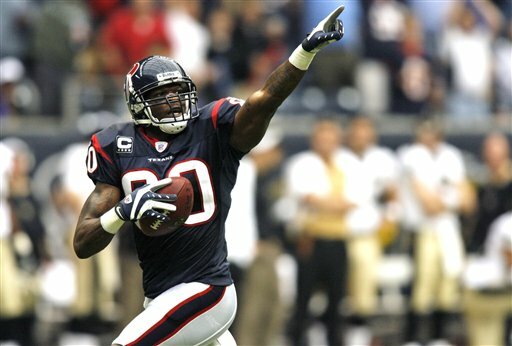 The Texans have the best wide receiver in the NFL in Andre Johnson. On defense the Texans can stop the run and have a formidable pass rush. The Texans have all the ingredients to make the Super Bowl and they are my pick to win the super bowl in 2013. Tennessee Titans – The Titans are one of the teams that could surprise a lot of people this year. Their running game will be rejuvenated this year and Chris Johnson will once again be an elite NFL running back. They have a great young wide receiving core with Kenney Britt, Kendall Wright, and Damian Williams. Their young wide receiving core should help second year quarterback Jake Locker be successful. On the defensive side of the ball the only concern I have is how they will replace pro bowl cornerback Cortland Finnegan who signed a contract with the St. Louis Rams. Indianapolis Colts – The Colts are in a complete rebuild mode right now. They lost the greatest player in franchise history in Peyton Manning. However, the Colts just drafted Andrew Luck the top quarterback in the 2012 NFL draft. They then went on to draft two tight ends to give in Coby Fleener and Dwayne Allan. The Colts offense will probably be pretty stagnant next year do to all the youth they have on the field. The Colts defense will be much worse then there offense this year. They are switching to a 3-4 defense and don’t have the best personnel for this defense. However, the colts could have a good pass rush it depends on how well Dwight Freeney and Robert Mathis adjust to playing OLB. Jacksonville Jaguars – The Jaguars have the worst starting quarterback in the NFL right now in Blaine Gabbert. Blaine, the second year quarterback from Missouri, looks scared in the pocket, which stops him from making accurate throws. The only positive on their offense is their ability to run the ball with Maurcie Jones Drew. The Jacksonville defense was the 9thbest defense in the NFL this past year. The defense will have to keep them in games and for them to win they will need to hold the opposing team to under 10 points. This entry was posted in Football, Home, National, Uncategorized and tagged AFC South, Colts, NFL, Texans, Titans.